We all hit a bit of a sales slump from time to time. Every great sales person has come across a time in which nothing seems to go right. Every sale seems to fall through. No prospect seems to want to talk and it seems impossible to close any sale. We all need help and support to overcome a sales slump from time to time. So, do not worry; you are not alone. One of the greatest steps you can take when it comes to overcoming a sales slump is to actually realise you are in one. It is so easy when struggling to sell to blame the leads, or to blame the economy or to blame the government; but in recognising you need some help and support will put you on the right tracks to getting your sales back on track. This article has been influenced by a session with a sales training student of mine. He was finding it hard to sell over the phone. This sales slump was having severe consequences for him; he was losing all motivation and had put him in a real negative mindset. You see, sometimes when facing a sales slump, we can find it hard to motivate ourselves and the fear of failure can make us shy away from actually trying to sell in the first place. And so it becomes a horrible cycle; you cannot sell so you lose motivation. The lack of motivation means that you have no opportunities to sell. And it goes on. In this article I aim to share with you my five top tips on how to rejuvenate your telephone sales skills and to help you get back up and running. I don’t know about you, but I find the term ‘cold call’ very negative. It is very rare for anyone on the receiving end to enjoy being cold called, and it ultimately does not sound like a fun activity for anyone involved. So stop calling it a cold call! If you have some time scheduled for sales calls try to rename it in your diary or even mentally. The term ‘sales conversations’ or ‘telephone investigations’ seem to work well but you are in charge. Change the name, change the routine, change the habits and you will immediately feel rejuvenated. Tony Robbins once said that ‘motion is emotion’, and I have to agree with him. Being sat down at a desk, slumped over a desk is not the most motivating thing in the world. So stand up! Get yourself a standing up desk, or just pile up some boxes and a headset. This will not only allow better bloodflow, but will allow you the chance to feel more powerful and more confident when talking on the phone. Take some time to go over your records and look back on the sales that have made your career! Look back on your most proud moments and to remember just how good you are! A good confidence booster sometimes can work as a great morale increasing exercise and who knows, the feedback from those great sales may just help to remind you the best ways to sell! Every call is a fresh start. It is so easy to use your last call as the foundation, or the base line for every call moving forward. If you have a bad sales conversation, it is easy to think the next call will go the exact same. Have a very good sales call and you may feel like each call will go the same. However, you have to remember that each time you pick up that phone is a fresh start. It is a new beginning. The person you are speaking with on the other end of the phone doesn’t know you have made more calls before that one and they do not know how well, or how bad it went. So start each conversation a fresh and act as though it is the first of the day. You have to remember, you are not alone. You have a team around you all of whom have been through the same thing. You have a support network all of whom want to see you succeed; especially your supervisors or superiors. So if you ever need feedback, do not forget to speak with them and ask for advice. Ask them to listen in on your calls and to seek their honest opinion. Do not suffer a sales slump alone. Or of course, you can contact us. 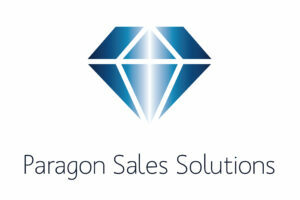 At Paragon Sales Solutions, we know what it takes to sell. We have all overcome sales slumps over the years and we are here to use our experience to help you overcome your sales slump to! Just send us an email, and we shall be glad to help!